As I write new content and catch up on my forced hiatus (I was locked out of my own blog), I’d like to share a piece I wrote for FACLBC’s Mentorship Blog relating to the use of instant messaging, particularly cultural isntant messaging apps. This has become an important issue in my practice and I’m still grappling with how to best ensure effective service to client’s while keeping my practice management sharp. Please enjoy the piece below and I promise, new (immigration) content, very shortly! I have discussed in another post how I view technology as a double-edged sword, one that gives a young, tech-savvy practitioner a distinct advantage and added value but also poses a unique risk for inadequate practice management and professional ethics skills. In that article, I discussed several examples such as Skype and other project management software and how I have been incorporating their use into my immigration law practice. In this article, I want to discuss another growing trend and an increasingly frequent discussion topic among young practitioners that raises questions of efficiency, ethics, and ultimately what the ideal solicitor-client relationship looks like in the modern age. In the North American practice of law, email communication is considered among the most secure and trusted mediums. It is certainly the most common medium, one many of us junior to mid-level practitioners have grown up with since grade school. Documents are shared readily over email; long chains are started with the ability to cc or bcc additional individuals as needed. Utilizing email management software like Microsoft Outlook, we carefully categorize these emails into subfolders and take notes to files to ensure a proper paper trail is kept. I find personally that the use of apps like WhatsApp or the even more archaic text message in my practice is rare. Some law firms offer their employees, specific firm phones but often cell phone numbers are to be given out only in emergency situations or used for inter-office communication. The separation of work and personal, business and pleasure is quite pronounced in the North American business environment considered both better for work product and also for professional ethics. However, what is often missed in the predominant narrative of email use is that email particularly in some Asian markets may not be used to the same extent as it is in North America. There are several issues – access being one of the main ones. Several email services, in particular 163.com or the recent qq.com (which just shut off its global services) have internet access issues. Due to global transmission issues, emails are often sent but not received (or vice versa), a risk that can have disastrous impacts on several areas of law where seeking client response is critical before actions are taken. Secondly, unlike in Canada where there is a reasonable expectation of privacy which applies to an employee’s workplace and email accounts (see R v. Cole, 2012 SCC 53), the reasonable expectation of privacy is not written into Chinese law. Further, several Chinese employers have contracts with their employees to allow for email monitoring. Emailing on certain topics, such as an individual’s outside business interests or plan to move to Canada, could jeopardize the individual’s immediate well-being. Thirdly, email literacy – how to write one with proper salutations, requests, and conclusions – is not generally well-known among the populous. Particularly among those individuals from second and third-tier Chinese cities who have relied on factory/mining profits, educational levels are not high and instant messaging is the preferred means of communication. Fourth, instant messaging also allows for the transmission of larger documents and photos that can be used in lieu of documents that generally require a fax machine or scanner. Users more easily and more frequently check instant messaging as compared to their emails. Finally, and most importantly, I find that individuals/clients prefer using instant messaging because it enables them to communicate quickly and urgently, almost as if having a conversation with a friend. They can harness closer and more personal relationships than the delayed back-and-forth offered by emails. Business connections can be referred between instant messaging parties and introduced, leading to individuals becoming “friends” first, a prerequisite to the start of communication. Three of the apps that I have used to communicate with clients, particularly of Asian background, are WeChat, Kaokao Talk, and Line. WeChat is most popular among my Chinese clients, Kakao Talk among my Korean clients, and Line among Japanese and Taiwanese clients. Each of these instant messaging applications have their own specific pros and cons. 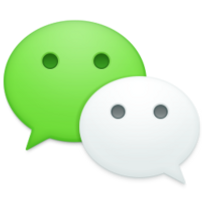 On WeChat, the application I utilize most frequently, a user can leave voice messages, engage in video chats (similar to Skype), and create “moments” – highlights of life events or professional accomplishments. Groups can also be created to link various individuals on projects or to advertise certain products and services. Is access to a lawyer’s private life something that can be marketed as an asset to the lawyer-client relationship? Is exposing this information to a potential client opening up vulnerabilities down the road? At what stage is it appropriate to add a potential/retained client to instant messaging software? Another challenge posed by these applications more specific to the practice of law is preservation of a paper trail. It is difficult to use a smart phone to keep notes to file. Further, WeChat conversations, voice messages, and video records can be erased accidentally or even by common technological malfunctions such as a software crash or a phone reboot. Still, as a young practitioner searching to provide an addition level of client service, the use of instant messaging has allowed me to communicate with clients abroad, on their time, and provide real-time communication to ensure I am able to better meet their requirements and gain their trust. Several instant messaging applications make it very easy to send personal information back and forth but not so easy to keep these documents secure on a mobile device. Particularly with cloud technology, it is easy for a private document to accidentally be shared, unaware to the user. Managing digital files via these applications is much more difficult to achieve compared to the secure private servers used by law firms. Rule 7.2 on Communications raises interesting questions and likely creates rules that are directly challenged by instant messaging applications. 7.2-3 A lawyer must not use any device to record a conversation between the lawyer and a client or another lawyer, even if lawful, without first informing the other person of the intention to do so. 7.2-4 A lawyer must not, in the course of a professional practice, send correspondence or otherwise communicate to a client, another lawyer or any other person in a manner that is abusive, offensive, or otherwise inconsistent with the proper tone of a professional communication from a lawyer. The very nature of these communications, in particular voice messaging, are often short and automatically recorded. This makes them arguably inconsistent with usual modes of professional communication. Yet, in the context of the end user involved, the type of “professional communication” that lawyers engage in may not be understood by individuals who have difficulty understanding even elementary English. There are also underlying privacy issues relating to the use of mobile messaging applications. A Chinese corporation named Tencent developed WeChat, meaning the application is subject to the Great Firewall, along with possible censoring and monitoring. As China has not yet adopted western legal principles such as solicitor-client privilege, it is entirely possible for a voice messages or instructions provided via WeChat to be viewed by third-party government officials. Indeed, there are several well-known cases in China where it is suspected that WeChat voice messages were part of the evidence gathered by national security investigators in China. With all of these applications, it is not quite clear where the cloud servers are stored, the level of privacy and privilege extended over these conversations, and the level of access a third-party investigator could have over your private conversation. The ability to communicate privately with clients, strategize, and to keep cards close to one’s chest is commonly considered the cornerstone of the lawyer-client relationship, and arguably cannot be guaranteed by instant messaging software. Another privacy issue occurs in exposing your own life, as a practitioner, to your clients. Professionally, lawyers need to keep a level of distance from their client, but increasingly in competitive markets, individuals are hesitant to engage with lawyers who are neither their friends nor the friend of a trusted friend. This close degree of friendship is challenging to the traditional solicitor-client relationship and may create ethical and other business-interest related conflicts which may lead to professional conduct issues. One of the most pressing concerns with instant messaging applications is the effect it has on practice management. How does one maintain adequate records and integrate this with the law firm’s own systems? Is it acceptable to copy a chat and keep a file on the firm’s server (backing up)? Should alternative records/transcripts be kept of each conversation? These are all issues that individuals who utilize instant messaging in their practice will need to address. 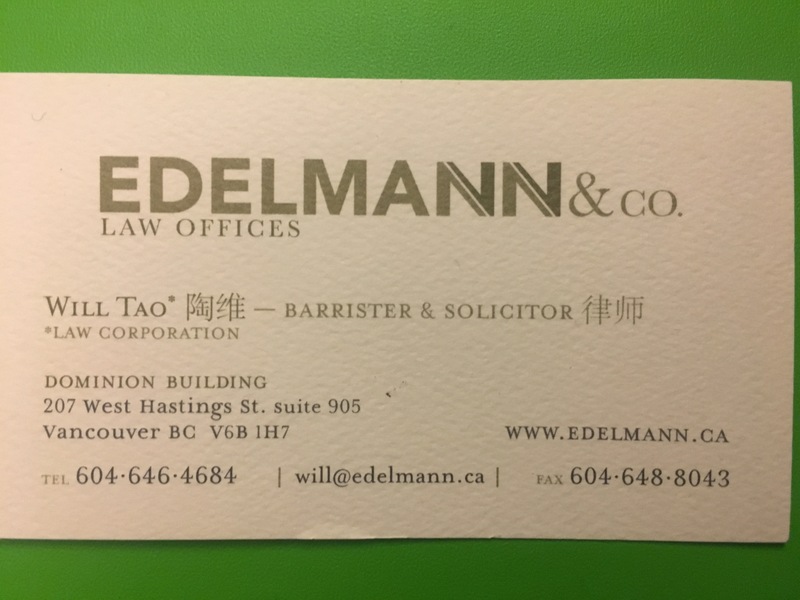 With an estimated half of the wealth in British Columbia currently being held by those of Chinese descent, and a growing number of newly arrived immigrants and permanent residents who need legal advice, I strongly suspect the use of instant messaging as a legal tool will increase over the next several years. Consequently, it is critical for law firms and practitioners to develop clear policies on how these communications are to be conducted and for provincial law societies to provide guidance to ensure issues such as privacy, security, and communication are adequately addressed. Instant messaging software is the future and I would suggest that firms currently struggling with their business development and client relationships figure out a way to engage on these various, ethnic-based, platforms.